The Azores form an archipelago of nine beautiful mountainous islands, located well out in the Atlantic Ocean, significantly closer to Europe than North America. 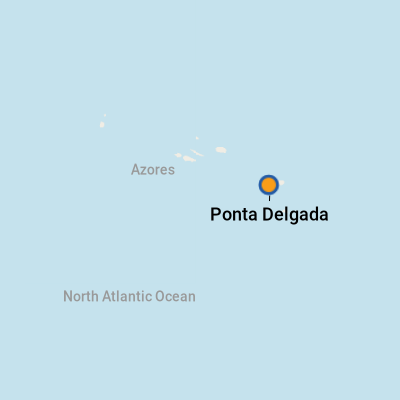 Ponta Delgada, the chief port and administrative center on the island of Sao Miguel, lies 900 miles west of Lisbon. 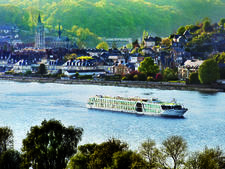 Cruise ships on repositioning voyages between North America and Europe often call there. Discovered in the 15th century by exploring Flemish and Portuguese sailors, Sao Miguel Island became a favorite stopover for passing ships because of fresh farm food and the abundance of fish in the surrounding waters. Ponta Delgada attained city status one hundred years later, and today the city's population numbers 45,000 with a further 20,000 residing in smaller towns and on the countryside. Since 1976, the Azores have status as an autonomous region of the Portuguese Republic. Volcanic activity has produced some pretty spectacular scenery on the island, along with some of the highest mountains in "Europe" (if you include the rise from the seabed). Visitors stream out of Ponta Delgada to climb the crater rims for breathtaking views down onto blue and green lakes, hike the mountain and nature trails, and gaze out to sea from mighty headlands. Unlike the Canary Islands, where travelers go for predictably hot weather and good beaches, the Azores draw a different type of visitor -- one who appreciates the natural beauty of a subtropical environment that produces pineapples, good wines and creamy white cheeses. Hence, beach and resort hotels are few by comparison. Cruise-ship visitors to Ponta Delgada will often drive out into the countryside for visits to small villages and natural volcanic wonders. 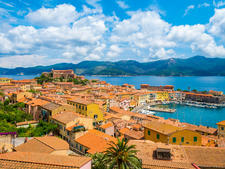 There's usually time afterward for a relaxed amble through the lovely port city, noted for its squares paved with black and white tiles, beautiful churches, and public buildings with their white-painted facades and brown-black volcanic stone trim. Fish and shellfish fans will discover moderately priced restaurants, some right outside the cruise terminal. Terminal Maritimo, the principal cruise facility, is conveniently located just a five-minute walk from Avenida do Infante Dom Henrique, the main street running along Ponta Delgada's harborfront. In addition, some ships may berth at the more remote outer breakwater. Depending on how far out on this arm the ship is docked, it can be a longish 10- to 20-minute walk into Ponta Delgada. If you're docked on the outer breakwater, you won't find any services until you pass through the security gates into town. From the main terminal building's exit, a row of outdoor/indoor restaurants stretches along a promenade to the right. To the left, cafe bars, some with free Wi-Fi (if you purchase a drink or snack), and shops lead the way to town. Pedestrians should cross roads at designated crosswalks and be aware of fast-moving cars on one-way streets. If driving, note that the secondary roads are narrow and twisty, and driving up into the clouds requires caution. But otherwise, motoring is a pleasure, as the island is so beautiful, and it's very hard to get lost since the sea is your guide to finding the coastal road back to Ponta Delgada. Watch out for turnoffs that lead to a viewpoint and a short hike down to the sea or along a cliff. Taxis are available at the cruise terminal and outer breakwater. Minibus routes serve Ponta Delgada's outlying residential districts, and standard-size buses link the rest of the island. You'll find stops along Avenida do Infante Dom Henrique; just pay the driver when boarding. You can rent cars at the terminal through Autatlantis, which offers rates with unlimited mileage plus taxes. Car rental is a good touring option, as traffic is generally light, though roads beyond the city are curvy and narrow, especially when climbing into the hills. Additional auto rentals are found left along Avenida do Infante Dom Henrique. 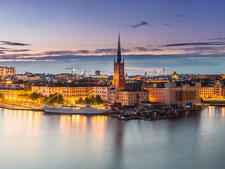 The currency is the euro; for the current exchange rate, visit http://www.oanda.com. ATM's are positioned near the exit to the cruise terminal and outside banks along the Avenida do Infante Dom Henrique. (Head left when leaving the terminal complex.) Barclays Bank is at No. 33. All designated Multibanco have English language options. Change some money into euros for drinks and snacks and inexpensive lunch places. Fresh seafood of all kinds, from the common cod and tuna to the more exotic shark and octopus, is available in the local cafes and restaurants at reasonable prices. Pastries are another specialty sold in small cafes and as desserts with meals. There are several restaurant choices just outside the cruise terminal and many more along the Avenida do Infante Dom Henrique and the parallel streets inland from the seafront. Restaurants generally serve lunch until 2:30 or 3 p.m. Reservations are not necessary. Pottery (for table settings) and tiles make wonderful buys. The most prevalent combinations are blue and white, but some may find other patterns featuring a rainbow of colors that are even more attractive. Embroidered napkins and tablecloths are also lovely and easy to carry home. For the most choices in one location, Solmar Avenida Center along Avenida do Infante Dom Henrique has four floors of shops, along with food outlets and free Internet. Many small shops are also found to the left when leaving the cruise terminal along Avenida do Infante Dom Henrique. Generally, most shops are closed between 1 and 3 p.m., but some will stay open when a ship is in port.